There’s a column on Glitter Guide called Glitter Girl that shines a sparkly disco ball light on ladies that know a thing or two on finding the best glittery inspiration. Well, Taylor Sterling is the mother of all Glitter Girls. 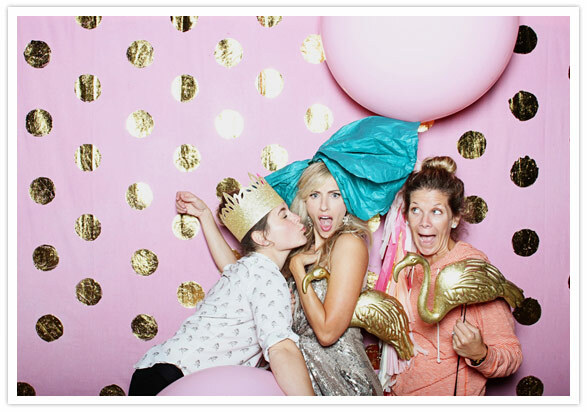 As the Founder + Creative Director of GG, we knew she would wow us with all the glitter & glam in her wedding. You guys, we’re in love with every sparkly detail. 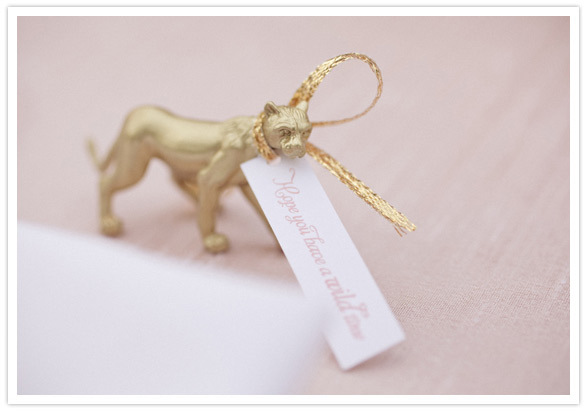 From her phenomenal reception dress, the bridesmaids’ studded and glittery sandals, to the gold frames with printed love notes and gold polka dot photo booth backdrop. 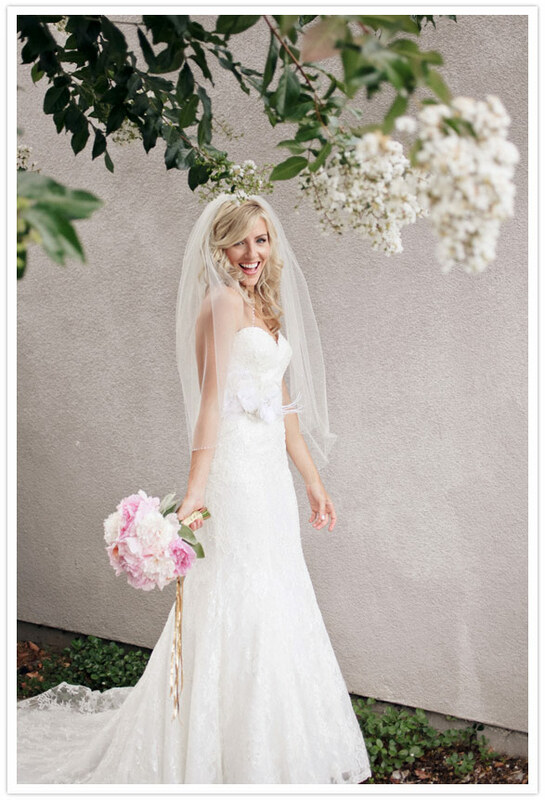 She might also be one of the most photogenic brides we’ve ever seen. 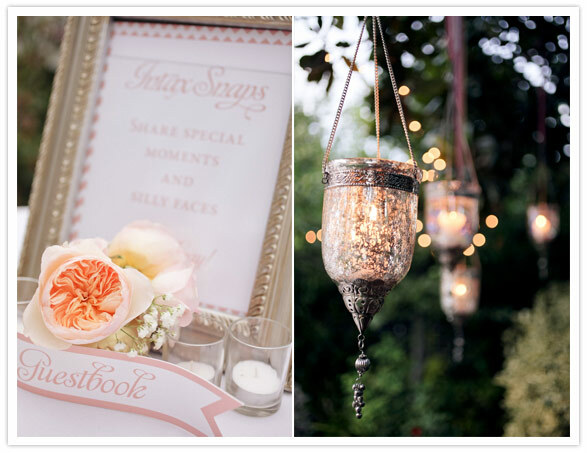 Behold Taylor + Joey’s classically glamorous backyard wedding, with impeccable design and florals by Jacin of lovely little details and photographed by the very awesome Edyta Szyszlo! For our walk down the aisle we played the classic wedding song, “Canon in D Major” by Pachelbel Orchestra. The song has a lot of meaning to my family. 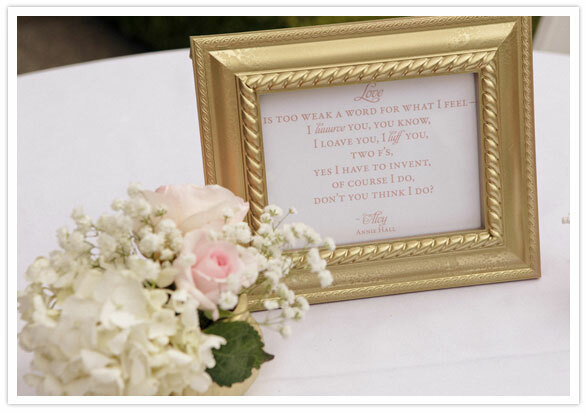 After the ceremony we played, “You’re The Best Thing” by Ray LaMontagne –Joey and I love this song and consider it “our song.” He truly is the “best thing” that ever happened to me. 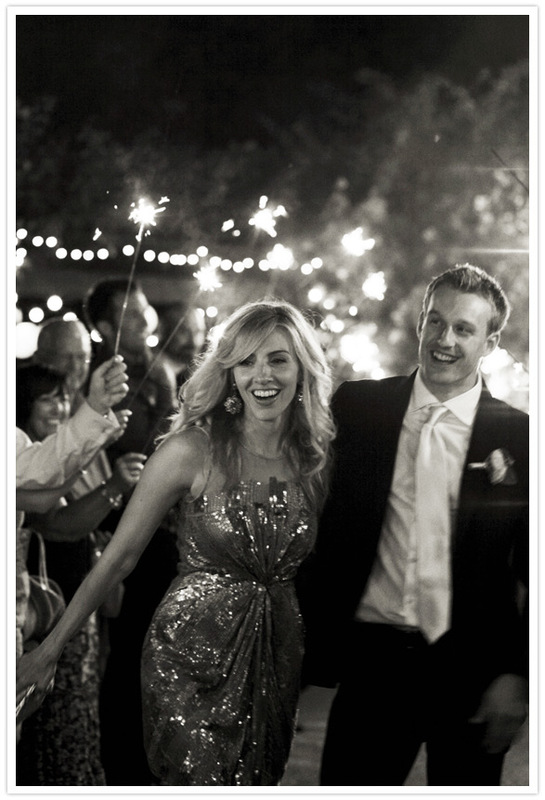 Then we had our first dance to “Then” by Braid Paisley, another song that we hold dear to our hearts. This isn’t really new advice, but something that’s very important. 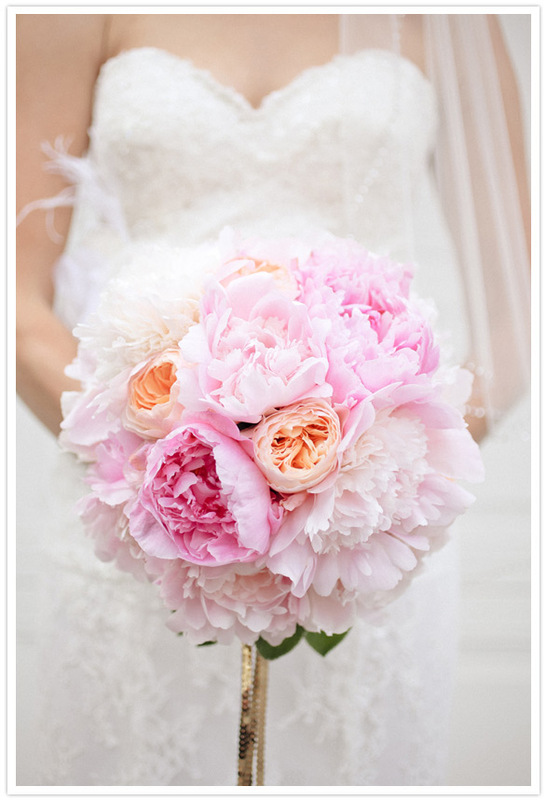 Make sure to let go of all your plans, expectations, and worries on your big day. The day goes by so fast, it’s like a blink of an eye. I knew this was going to be the case, but still had no idea it would that it would really be that fast. I wish I could have had even more time to see everyone, dance, and just soak it all up. It goes by in a wonderful whirlwind and you want to make sure you are present for everything! We’re completely smitten with these two! 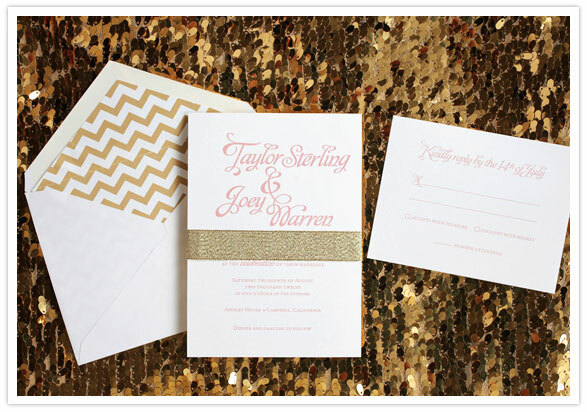 *Tossing sparkly virtual confetti at Taylor + Joey*. 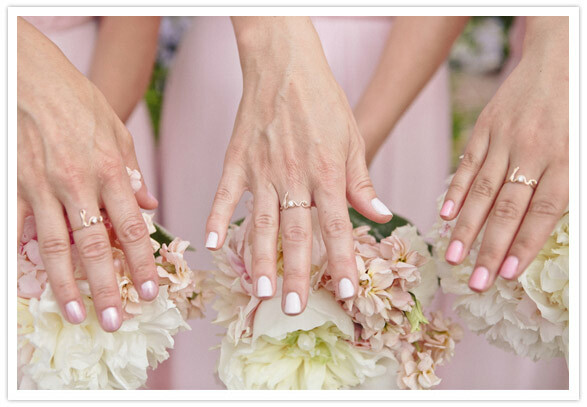 We were so inspired by Taylor’s wedding and all the pretty details that we decided to do the hard work for you and shop for items simliar to the ones in her wedding. Go ahead, shop her look! So pretty! 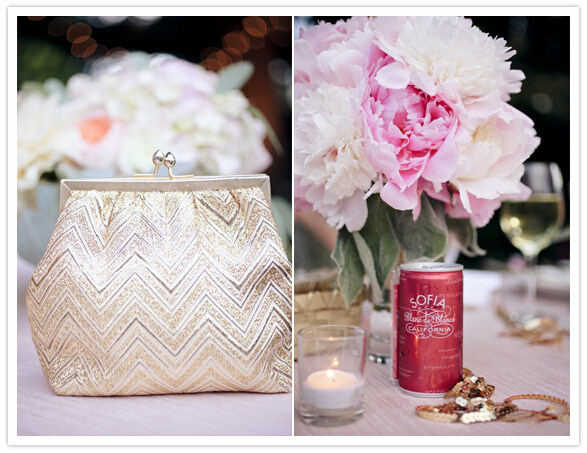 I love the warmth and femininity of the pink and gold palette. Gorgeous! Given that we love all things sparkly, Sterling Style & GG are two of our daily reads - we love Taylor and have been waiting for months to finally see the big day! Congrats Taylor and Joey, this wedding is simply stunning. 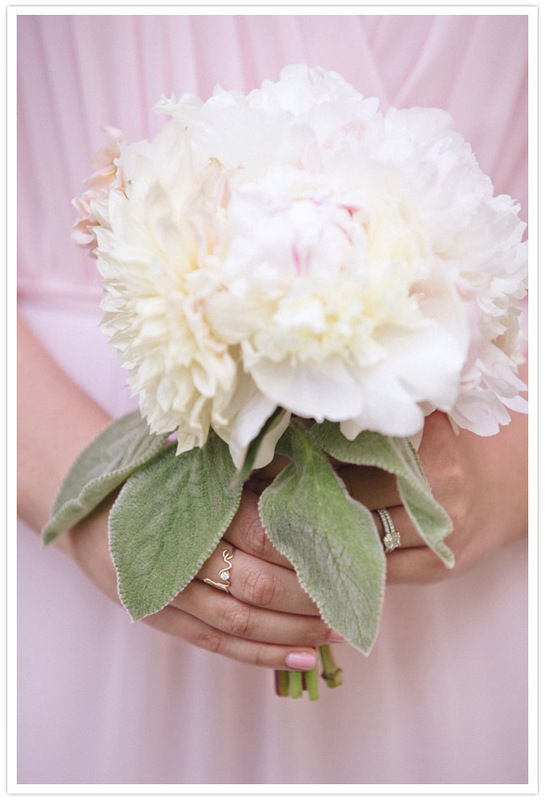 The amount of beauty everywhere you look is incredible, from the glittery gold touches and sparkling crystals, to those perfect peonies! Taylor's style is awesome, and Lovely Little Details is insanely talented. 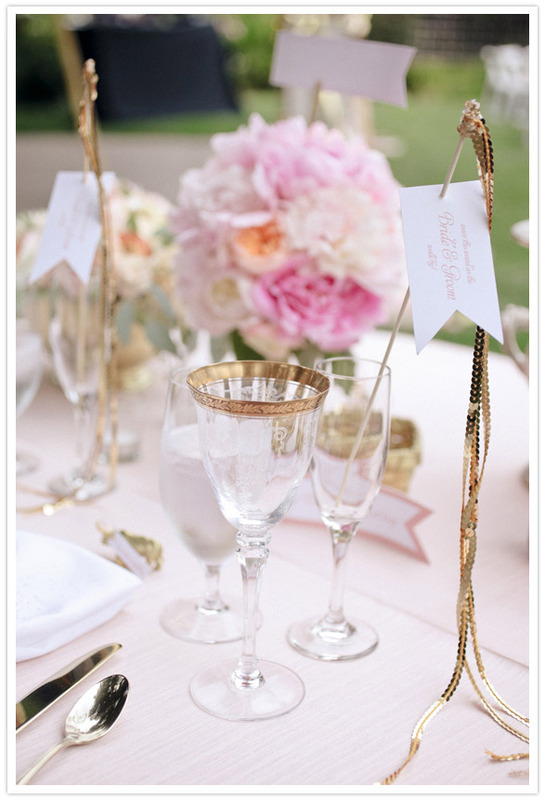 Everything about this wedding is stunning and perfect for Glitter Girl, Taylor! 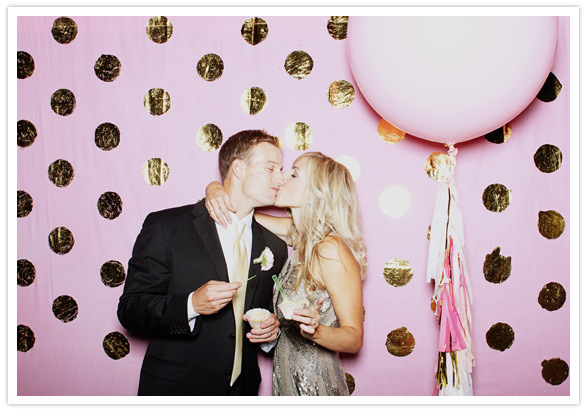 I love the color combination, perfect amount of sparkle and the true love that is evident between this couple. Congratulations! so excited to finally see taylor's wedding all together! it was such an honor to work with her and her family to pull everything together. thank you for featuring it today! Wow! Completely stunning, I even got teared up during the vows! Congrats x1000!!! Just lovely. 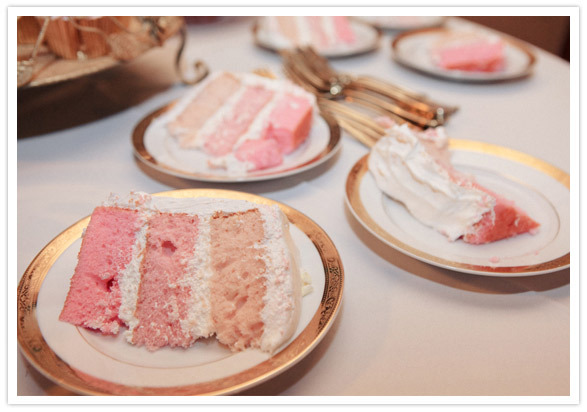 Everything about this wedding oozes romance, from the gorgeous Grecian bridesmaid gowns to that sweet pink layer cake! Yay!! What a treat to see our lovely lovebirds this morning! A truly fun day packed with amazingly fun details! Whoot T&J!!! Thanks for the feature ladies!!! 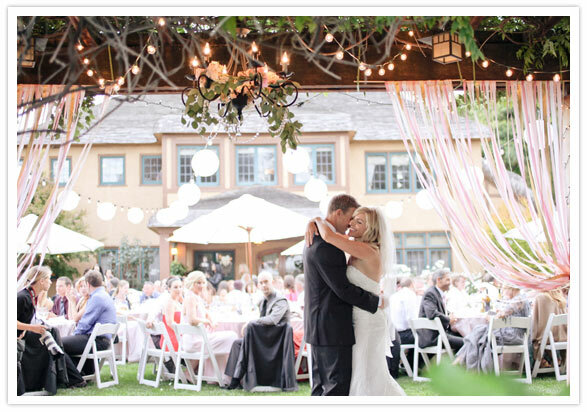 What a gorgeous wedding!!! I've been waiting to see pix! Congrats Taylor and Joey! what a swoonfest! 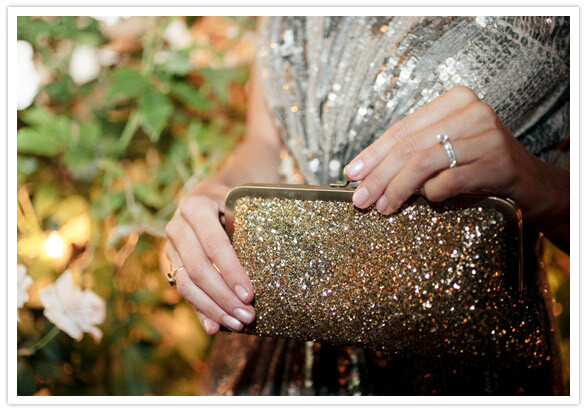 so in love with all of the glittery details. I was following along with Jacin on instagram as she did many of the DIY details (like those glam glittery gold spoons) and it is so fun to see it all put together! just gorgeous. congrats to the couple and all of the professionals who brought this beauty to life. Truly gorgeous! 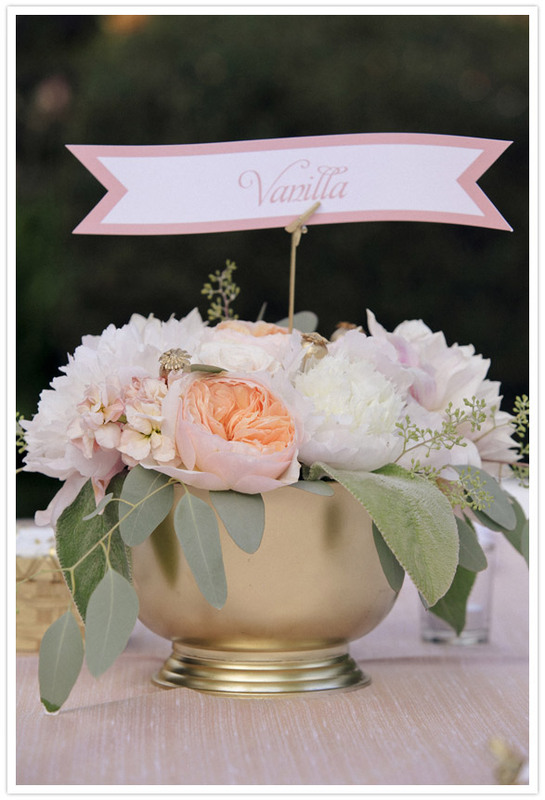 The blush with gold is just stunning. Congratulations Taylor and Joey. Amazing work from Edyta too! Love the BM flat t-strap sandals. Who is the designer? 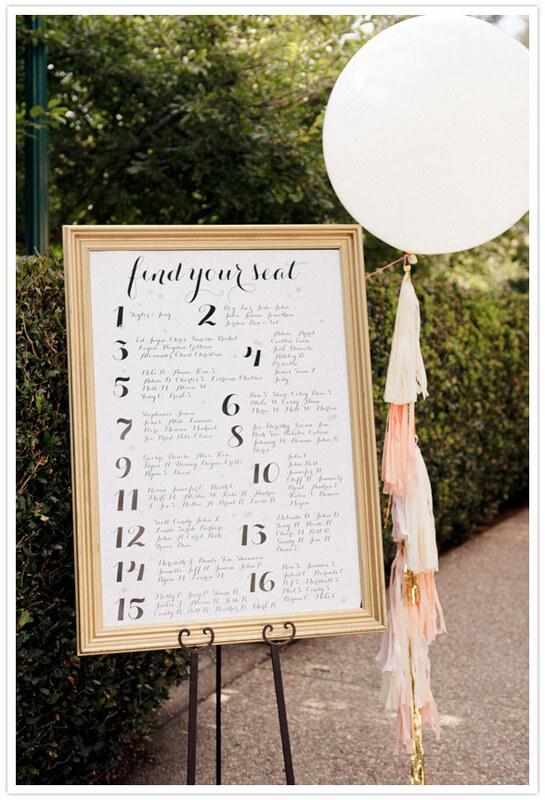 This is such a beautifully designed wedding. Each and every detail is gorgeous! 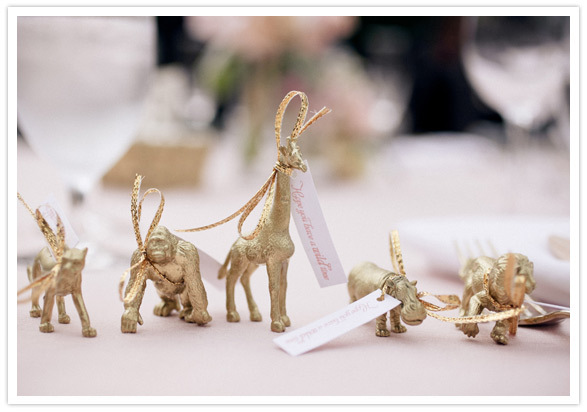 I have 2 specific questions on where to find the gold animal favors and the designer of the brides 2nd reception dress. 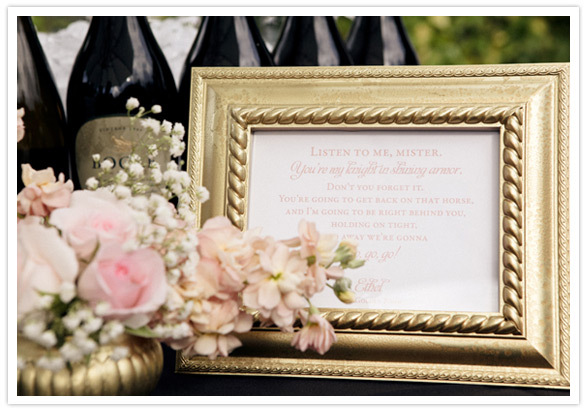 The blog post about the wedding is amazing.... every detail is beautiful and it all ties in so well together. What a gorgeous day, congratulations! 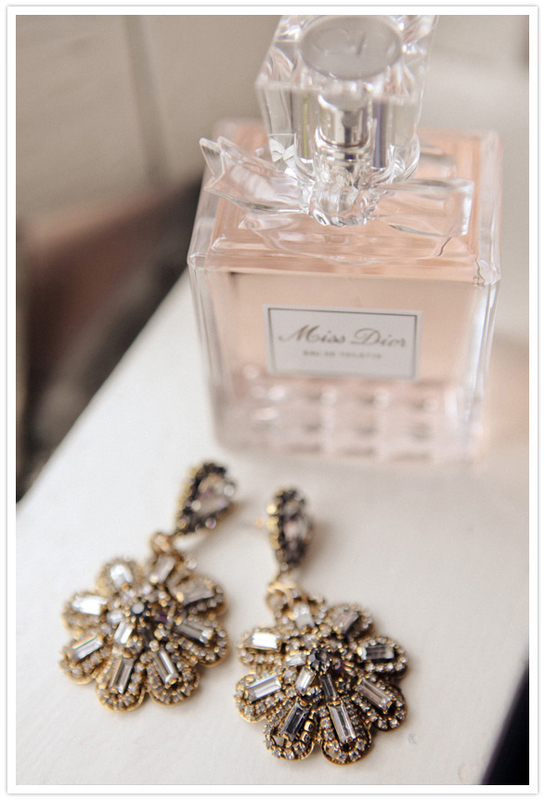 I wore Miss Dior Cherie on my wedding day- now 6 years later, each time I wear that fragrance my husband smiles & says, "Is it a special day today?" 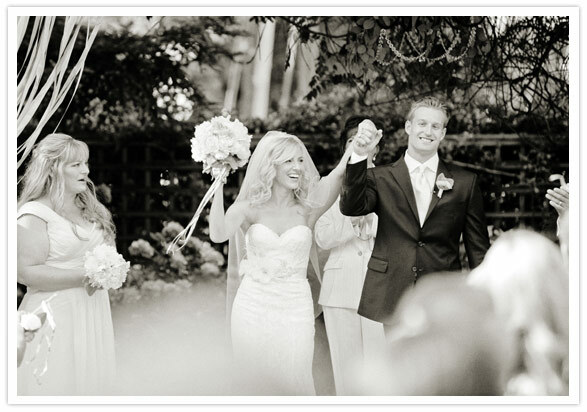 Cheers to love! Wow! 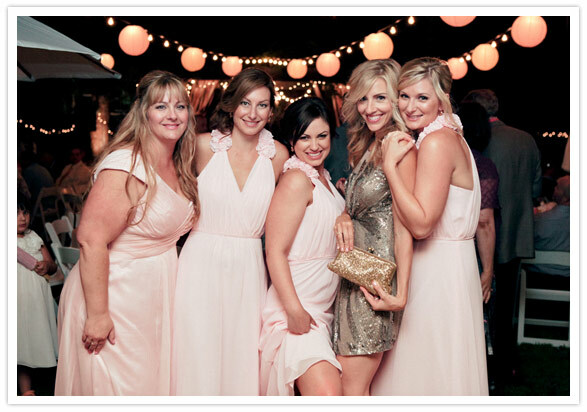 Beautiful wedding and amazing pictures! So much prettiness. 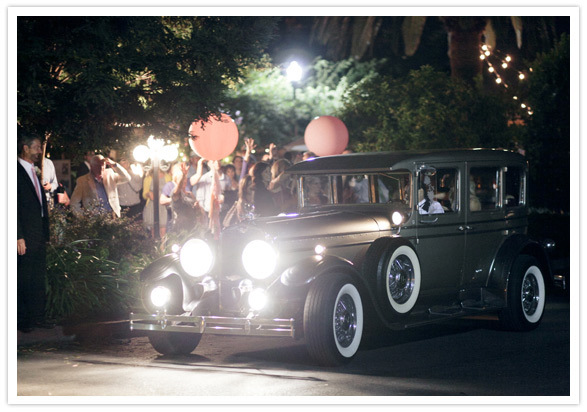 One of my favourite weddings I have seen in the long time... Gorgeous on all accounts. Major crush! Absolutely gorgeous in every way! I remember seeing little sneaks on Instagram and it's even more amazing than I could have imagined! Wonderful job as usual Jacin! Gorgeous! 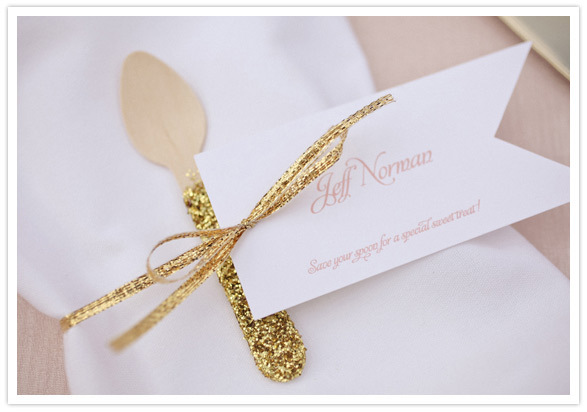 I love love the details and that spoon? Lovely! Thanks for the info Jacin! In my rush to get info about a pair of SANDALS, I completely forgot my manners! 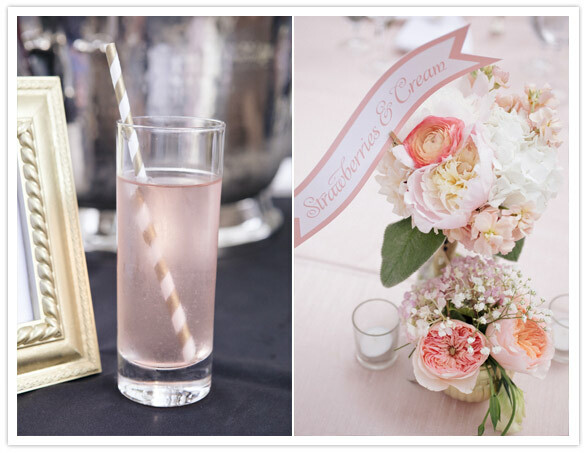 Congratulations to the lovely couple, Taylor and Joey, and to their wonderful team of vendors! 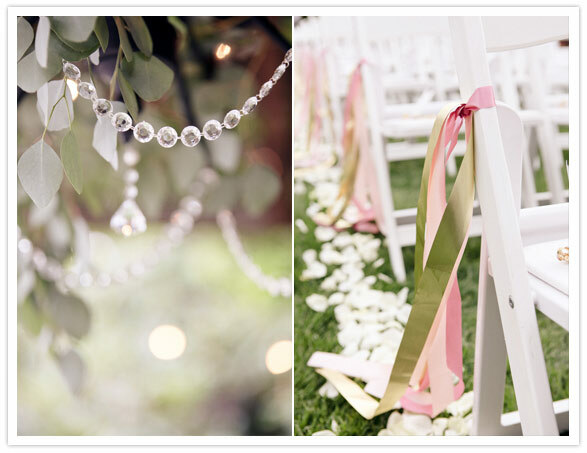 Beautifully natural weddings are so chic, and really leave an impression on the guests. This couple did a great job of bringing it down home. Amazing, amazing job ladies!! You guys seriously outdid yourselves! Miss Dior Adore! 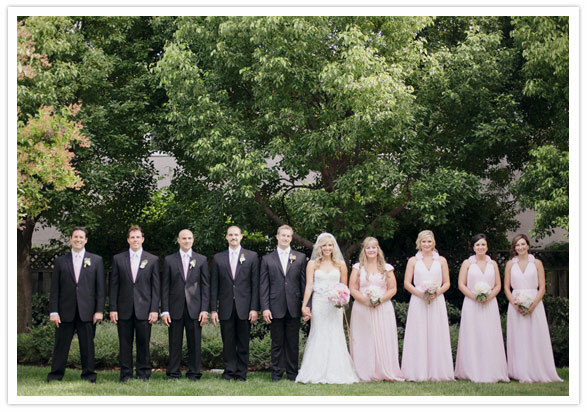 We are IN LOVE with this adorable couple and their perfect wedding! 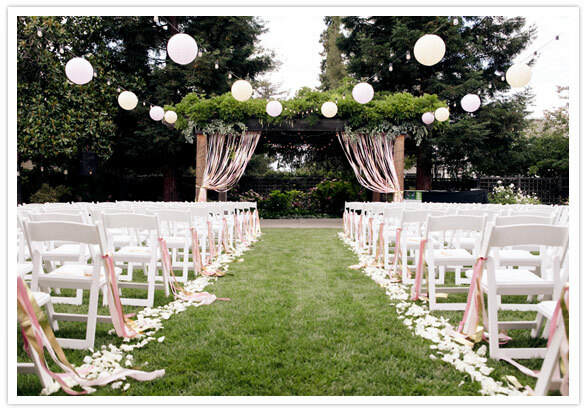 The decorations are flawless and done in a way that is just enough but yet unforgettable. 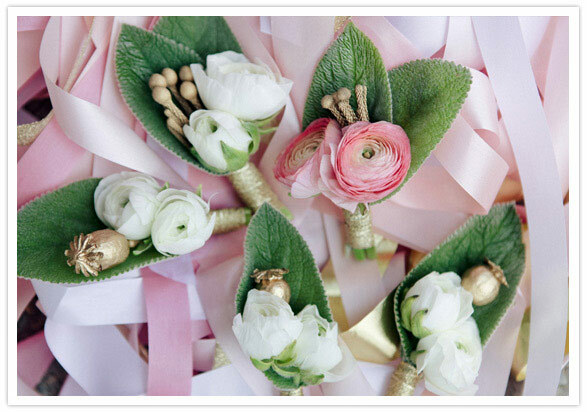 The use of pink is perfect! 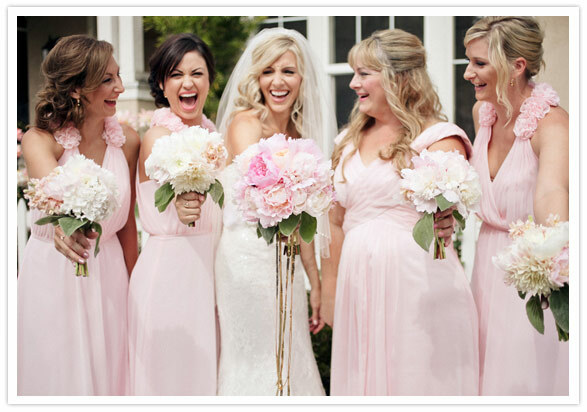 From the beautiful bridesmaid dresses to the ombre cake and everything in between. 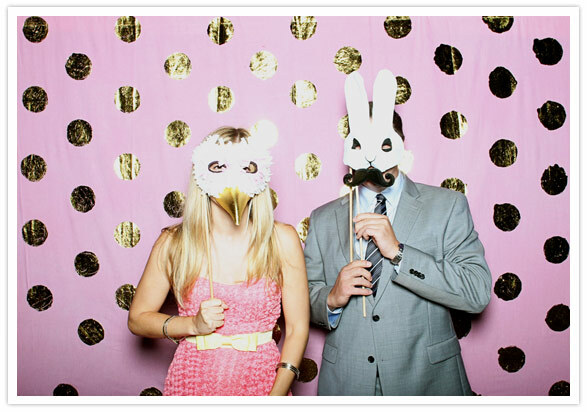 The flowers, and the photo booth backdrop and props are to die for as well! Truly a dream wedding. Congratulations Taylor and Joey! WE AS TAYLOR'S GRANDPARENTS ARE VERY PROUD OF THE MOST BEAUTIFUL WEDDING WE HAVE EVER ATTENDED. 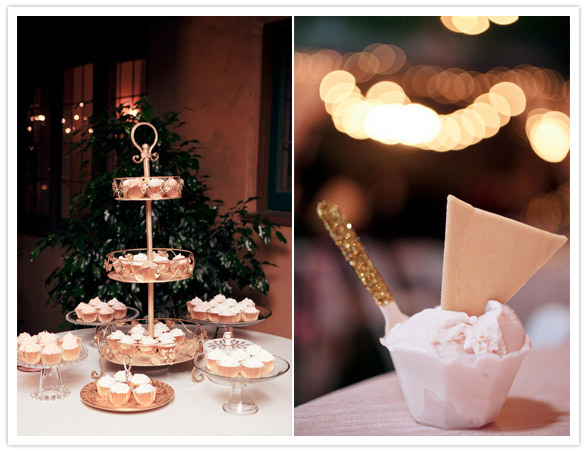 WE KNOW A GREAT DEAL OF PLANNING WENT INTO ALL OF THE CHOICES OF GOWNS, FOOD ,LIST OF GUESTS, MUSIC,ETC. 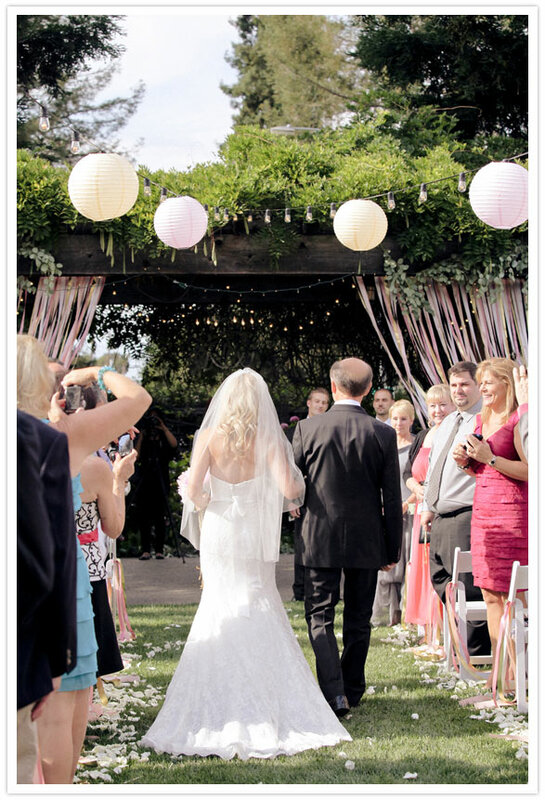 LOVED THE PICTURES THAT BRING BACK THAT BEAUTIFUL DAY. OUR LOVE TO TAYLOR AND JOEY. PS:A LOT OF HELP FROM PARENTS AND FRIENDS MADE IT ALL POSSIBLE AND SPECIAL ! 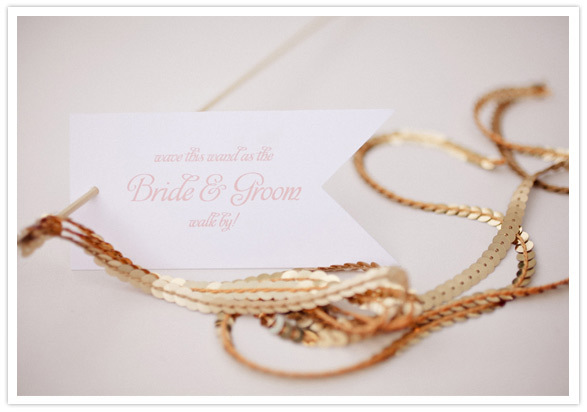 Pink and gold - so beautiful! I love pink and gold together. 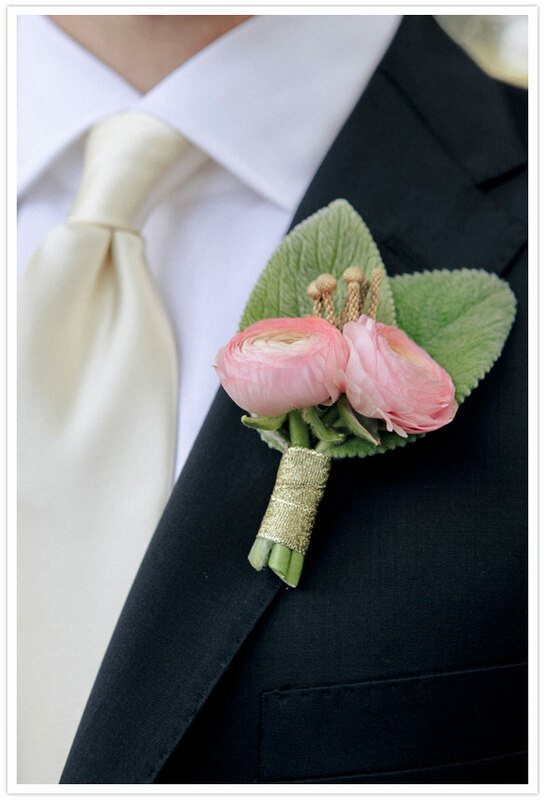 I did a blog post on the color combo for weddings not to long ago so I just added a link to this page. 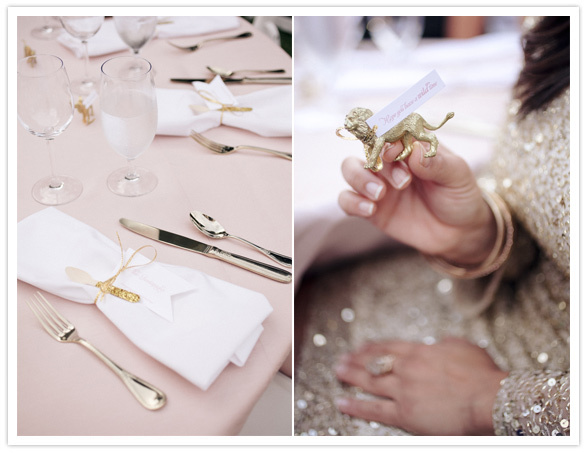 http://littlebirdcelebrations.blogspot.com/2012/08/gold-and-glitz.html I also make gold animals like the ones that were used for these place cards. What a cute idea! The backdrop is also gorgeous! GORGEOUS!!! 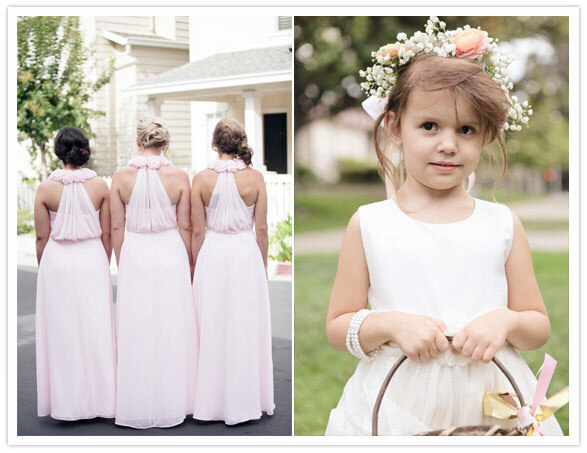 Where are the adorable bridesmaid sandals from? 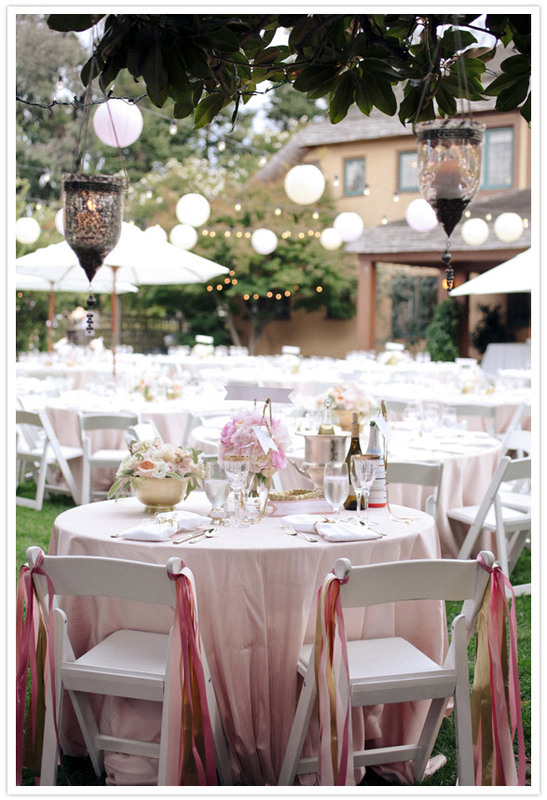 Do you know by any chance the color of the table linens?? I love how soft the pink is. magnificent points altogether, you just gained a brand new reader. What would you suggest in regards to your put up that you just made a few days in the past? Any sure? Hi! 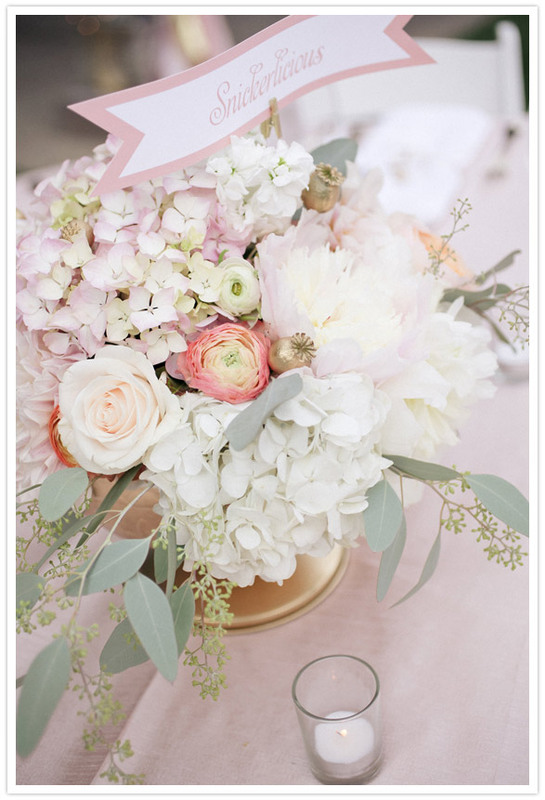 I am very curious as well the color of the table linens?? Thanks! Your method of describing all in this post is genuinely fastidious, all be capable of without difficulty be aware of it, Thanks a lot. 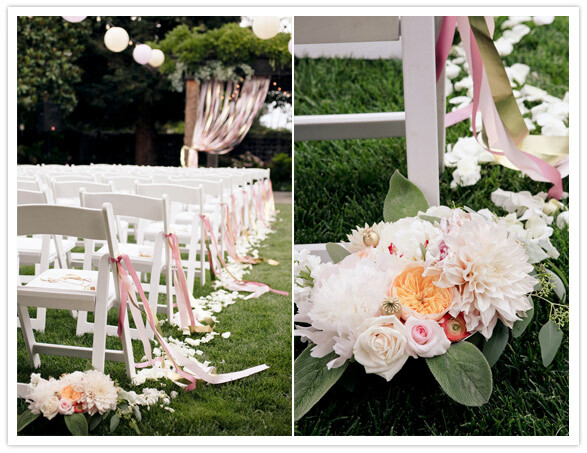 Beautiful wedding, I love the color theme. 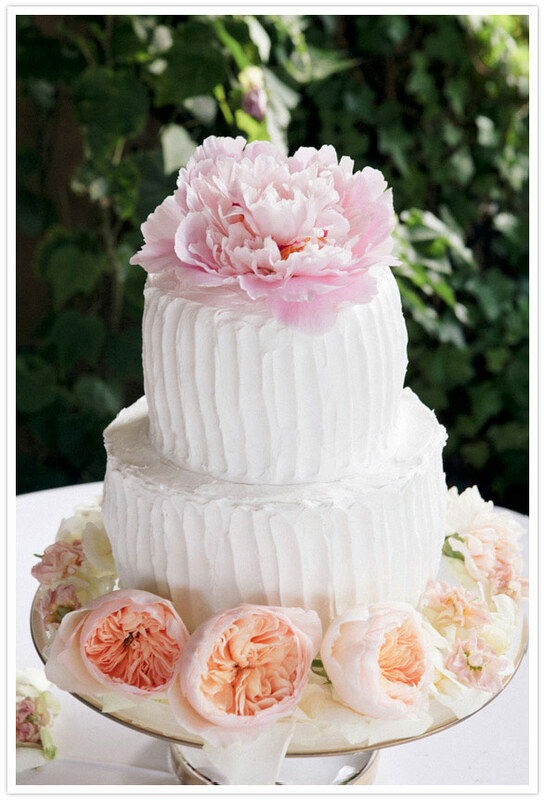 The cake is absolutely perfect, looks soo delicious!